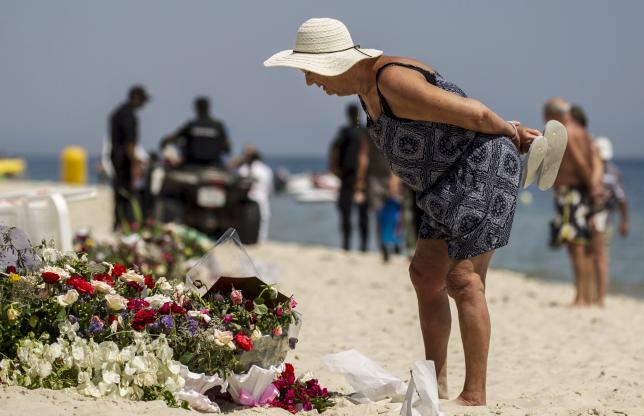 Friday’s carnage on three continents, in which scores of people died in Tunisia, Kuwait, and France has appalled the global community and reinforced international condemnation of the Islamic State (IS), which has claimed responsibility for them. Yet in spite of the global horror over the sheer brutality and senselessness of these murders, deep differences exist among intellectuals concerning the causes of such terror and how to confront it. There is even disagreement over whether the term “Islamism” can be ascribed to the context of such acts of terror. This lack of global consensus is one reason why such acts prevail, and is the simplest explanation for why groups like the Islamic State continue to gain ground in the Middle East. Barbarism that is countered by weak, unharmonious resistance is bound to spread with increasing brutality. In France, according to a source involved in the police investigation, the man suspected of decapitating his boss and pinning his head to the gates of a gas factory posted a “selfie” showing him with the head he severed. In Kuwait, the killer stood among Shia worshippers during their prayers in a mosque before he murdered them. In Tunisia, peaceful sunbathers were butchered en masse in cold blood. These three stories highlight not just the sheer ruthlessness of the murderers, but also how the reasons advanced for the rise of Jihadism are not necessarily applicable. Some top pundits warned people against condemning the attacks without acknowledging that injustice, oppression, and marginalisation are root causes behind them. However, they conveniently ignores how Tunisia is not an autocracy as other Arab states are, and its Islamists are included in the government; the victims in France were not journalists who had published offensive cartoons, as in the case of the Charlie Hebdo massacre; and the Shia community of Kuwait has no record of revolting against Sunni rulers in order to trigger the anger of Sunni radicals. All the classic justifications that have been used in the past to try to rationalise previous heinous crimes do not even exist this time. Indeed, lack of democracy, oppression and authoritarianism are common reasons behind the alienation of many youths and they do make some young people easy targets for the Islamic State’s propaganda, but the group is happy to advance a variety of other reasons. With the world map embossed on its newly minted coins, the Islamic State’s main ambition is clear. The group aspires to dominate the entire world, not just the Middle East. Bearing that context in mind, the group has to use conflicting justifications for the terror it uses to pursue its political aims. In Egypt, the ousting of Islamists from power is used as a reason; in Tunisia, the inclusive democracy that allowed non-Islamists to rule is also used as a reason. Targeting the tourism industry is a sinister way of undermining the current government in Tunisia and the fragile democratic experience in the country. If tourists are the sole focus of IS, why the group did not attack Morocco for example? Let’s not forget that Tunisia has done nothing to provoke the Islamic State, and it has not participated in US airstrikes against IS in Syria or Iraq. Without understanding that radicals detest non-Islamist democrats as much as they detest non-Islamist dictators, there is no hope of fighting extremism in the Middle East. A flourishing liberal democracy in the Middle East is, in fact, the radicals’ worst nightmare, because it deprives them of the victimisation they excel at using to serve their political ideology. On the other hand, a closer look at Syria highlights how IS fought and killed other rebels, including Islamists who were not alien to them. The group disdains non-violent Islamists and does not hesitate to kill even the most conservative Muslims if they dare to challenge their authority. The Islamic State represents a greater challenge to political Islam than autocracy and dictatorship. With its bloodshed, the Islamic State is killing the concept that Islamism can be civil and non-violent. The stake for moderate Islamists is much higher; hence, they need to realise the danger and join the fight, at least to prove they provide a viable alternative template to barbarism. Furthermore, some countries, such as Turkey, have opted to ignore the security threat of the Islamic State, despite the fact that the group operates freely near its southern border. In fact, Turkey focuses instead on its fear of the Kurds near its borders. On the same day of last Friday’s carnage, President Erdogan openly stated he would not allow a Kurdish state in Syria. The Turkish president conveniently ignores the fact that the Kurds are not fighting Turkey, but fighting the Islamic State, which slaughtered many innocent civilians in the Syrian Kurdish town of Kobane near the Turkish border last Thursday. In addition, conspiracy theories continue to gain currency in the Middle East. The classic response to IS’s atrocities is to blame Israel and America, and claim without reliable evidence that they back the group. Others focus their grievances on Ayaan Hirsi Ali and her views, which many Muslims consider Islamophobic, claiming that IS serves only right-wing Western fascists who hate Islam. A third group has ignored the carnage completely and focuses instead on other irrelevant matters. It was so unsettling to see the angry comments of so many Egyptians and Arabs streaming in on social media about the US sanctioning gay marriages following Friday’s terror wave. If America’s tolerance is more unsettling to some than intolerance of IS, then no wonder radicalism will continue to prevail. The key to fighting IS effectively is to stop our own infighting. Watching different camps exchanging accusations is not the way forward. Postulating conspiracy theories, resenting minorities like the Kurds who bravely fight IS, and complaining about the rise of Islamophobia will not help either. The defeat of the IS does not need an innovative approach; it needs the simple recognition that all of us have a stake in the battle, and we need to do our part to fight evil, instead of exchanging blame and pointing fingers. The Islamic State continues to win because of our collective “amazing disgrace.” If we fail to unite against barbarism, then the ripples of blood will drown us all. This entry was posted in Best Read, Middle East, Politics and tagged ISIL, ISIS, Islamism, Kurds, Kuwait, Terrorism, Tunisia, Turkey. Bookmark the permalink. Many thanks Raouf for this insightful comment.